Most of you know that for the most part, I’m a bookworm. Rarely do I escape the house to spend much face-time with people. As my health has been fragile for a long time I spend most of nervous energy working on these Torah learning projects and the transcription of the siddur. But this weeks blog is like no other, because it is taking us outside of the books and into the real world. In fact we are going on a quick tour of one of the most moving sites I have ever visited in my life, the Ohel Chabad-Lubavitch, the New York resting place of the Lubavitcher Rebbes. We are also going to briefly discuss the significance in Jewish tradition of such a graveyard visit, and its personal significance for me as well. This is a glimpse into the one end of this deeply religious world that many people are never fortunate to see. Actually before I get started I want to say that my friend and I who came on this trip are observant, but not frum. I have not considered myself full-fledged Orthodox for several years. 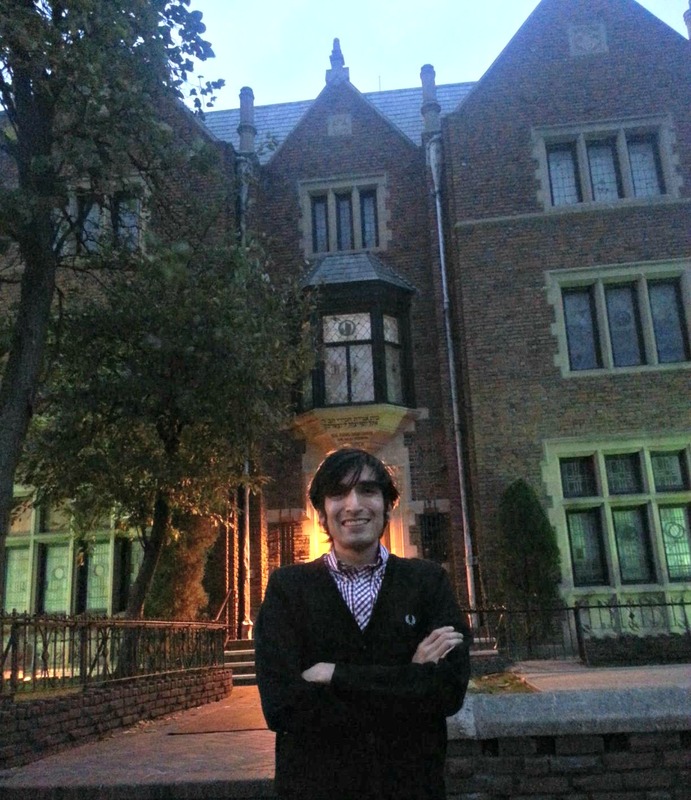 However, I have a deep connection to Chabad chassidus because it was through it that I learned the most about myself and Jewish life. The teaching and the legacy of outreach started under the tutelage of Rabbi Menachem Mendel Schneerson, of blessed memory, the Rebbe or grand-rabbi of the Lubavitch chassidim. Under his leadership he took a small group of faithful Chassidim from Russia who were struggling for their survival in Brooklyn and turned it into a world-wide movement. In the general Jewish community we are now so used to the presence of Chabad in the furthest reaches of the world we are known to chime in when discussing them, “Where ever you find Coca-Cola you’ll find Chabad.” I am one of the people who has benefited throughout my life because of Chabad’s outreach and easy-going approach helping people find their way in our tradition. I like most people who have received so much from the teachings and work of the Rebbe, I never had the opportunity to meet him. I was too young and was not yet frum when he lived and passed away in 1994. “The Rebbe” Menachem Mendel Schneerson, the 7th and final Lubavitcher Rebbe was laid to rest in a monument known as the Ohel, the resting place of the 6th Lubavitcher Rebbe Yosef Yitzchak Shneerson, of blessed memory; they rest side by side. I remember the day The Rebbe passed, seeing the television announce the horrible news, even in my ignorance I knew we had lost a great light of Torah truth in this world and my heart ached. As my learning grew in Torah and I gained so much from his published speeches the feeling grew that I needed to pay my respects to someone I had come to admire greatly. 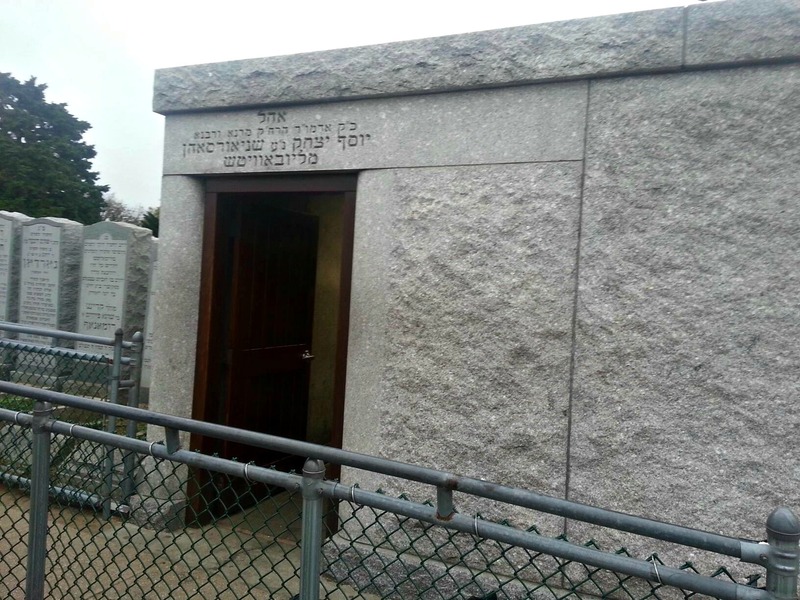 On some weeks, in fact on some days, there can be thousands of visitors to his grave to show their respects and pray at the graves of the Rebbes. If you don’t believe me all you need to do is see the entire site covered with letters of needs and prayers of people left in hopes that they be answered in the merit of our righteous deceased. People who would ordinarily seek out the advice of the personal rabbi still bring requests of guidance and requests for blessings to him at his resting place. I was also coming with requests this time, some of my own but also baring the prayers of other friends who had desperate needs. But namely I was coming out of gratitude that just a few years ago I was literally on my deathbed and people came to Ohel to ask for a blessing of healing for my body. I always promised that if I was blessed with life and the physical strength I would visit the site and pray there myself. Now this tradition of asking advice of the Rebbe was not started by “The Rebbe” Menachem Mendel Shneerson. It was a tradition that he himself did engage in, by visiting the same Ohel regularly to seek the guidance of his predecessor Rebbe Yosef Yitzchak, the Freidiker Rebbe. It is also true that he encouraged others to also bring their written prayers with the confidence that “the Rebbe will find a way to answer.” Even then he was not the first to do this, he followed the formula of the “Ma’aneh Lashon” (“The way one should speak….”) a guide for mourning and addressing the dead. The text he utilized was a slightly stylized version of the one edited by Rebbe Dov-Ber, the Mitteler Rebbe, second Lubavitcher Rebbe. He didn’t create anything, he merely encouraged a long-standing tradition of visiting the grave sites of righteous people and praying in their merit, even encouraging people to do so according to the Chabad minhag. We know that the custom of visiting the graves of holy men even predating chassidut and was also a well established tradition held by their fellow Lurianic kabbalists, and Sephardim, prior to this. They would visit the tombs of rabbis with the same respect they showed our patriarchs tombs. Actually the history and content of the Ma’aneh Lashon gives us indication of how far back this tradition goes. The order of cemetery visits was originally contained in a larger work compiled Jacob Ben Solomon Darshan in 1615 in Prague, his work titled Ma’aneh Lashon also had prayers for the sick and considering other tragic occurrences. They presented some of the first guides on how to act with decorum in a tragic situation. 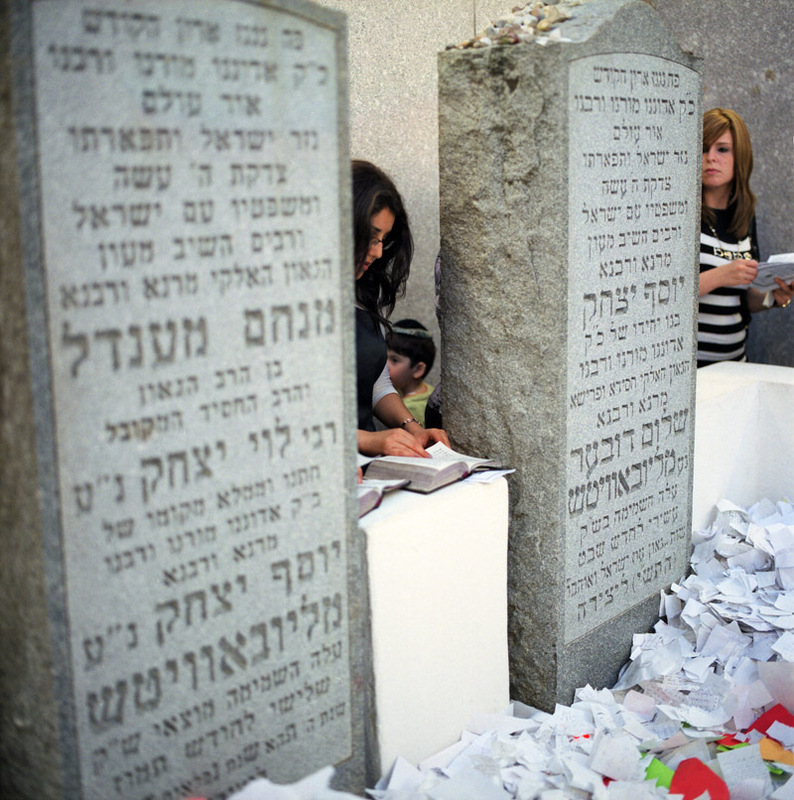 The sections related to the visiting of the cemetery was composed of blessings, psalms, readings from the Zohar, and prayers of repentance. 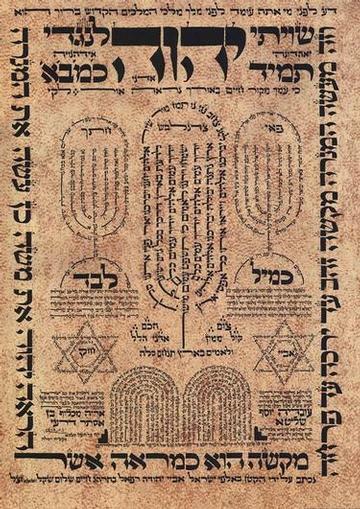 The kabbalistic Yichud (unification) prayers were added later by Rabbi Aharon Berechiah ben Rabbi Moshe of Modena, who printed them in Mantua in 1626. Later the content was edited and made more concise for the use of visiting the Chabad rebbes in the late 18th to early 19th century by the Mitteler Rebbe. Now it is obvious that the readings from the Zohar do predate this, and they are a pretty clear explanation of the reasons that a person should visit the graveside of the righteous. It suggests that it is in order to repent. That a person may come with weeping to the graves of the righteous, and if possible after fasting and with the intent to changing their ways. They can make their requests heard, but they must also come with the intent to change something about themselves for the better. (see Zohar Arachei Mot 90b) So this practice has to go back as far as the Zohar, which is arguably the early Middle-ages at the very least if not all the way back to the days of the Talmud itself. even more than in their lifetime. The Zohar is making an interesting point in order for us to understand the process of asking for blessings for the sick and praying in the merit of the dead. We ask prayers in their merit, trying to connect to their righteous example and seek guidance for the situation at hand. But even more than this, the Zohar explains that G-d does show gratuitous mercy to people, to save them from catastrophe merely for His own sake. Even more interesting it shows that G-d shows mercy by saving a whole city from impending disaster merely out of consideration for the merit of King David! Rabbi Yossi also states that despite all the psalms we say, this praise of David’s merit to influence mercy for his people Israel was not said about him while he lived. Rabbi Yossi states that the prayers and influence of the saint upon G-d does not end with their demise, in continues on and it influences His decisions in respect to their memory. Expounding upon this thought the text of the Zohar continues in the name of Rabbi Yehuda, that G-d shows gratuitous mercy to people for their sake and G-d also displays gratuitous mercy in the honor of righteous people as well. He continues on by saying that we cannot say that people are on par with G-d, but the souls of the honorable departed such as David are completely connected to the Unity of G-d’s existence and we connect to G-d in their example, that G-d alone be blessed forever and ever. We seek to have that oneness with G-d that the saints did in their life, and that they enjoy even more so in their afterlife as uninhibited souls. All is connected, Rabbi Yehuda would contend; we just need to find a way of connecting and we can often do that through the example of great people. Now before I move on I need to touch on one very important point about this tradition, that if not answered can confuse people. Most people are aware of how careful we are to worship G-d alone in Judaism and no other being or manifestation, but here are praying at tombs and invoking the names of our dead. Are we praying to our dead instead of G-d? be in Your eyes like an incense offering. listen willingly to the prayer of Your servant. to intercede with You on my behalf. and for the sake of Your great glory. In our tradition, especially those of us of the mystical schools, we hold the memory and the legacy of the righteous departed as a living thing. Our holy rabbis were so close to the other world in their physical lives already, but now in their spiritual lives they still are sources of inspiration to us and empower us with the strength of generations. For this reason the religious do not speak of our rabbis as “Rashi said…” or the “The Rambam said…” instead we say “The Ramban says…” or “The Baal haTanya says…” They continue to live on through their lessons to us, their merit rising higher and higher as their example helps others reach greater spiritual heights. In this way our saints are still with us. It’s seems almost ironic that the Zohar text should really center around this one verse from Isaiah about G-d defending this city and saving it for His own sake and that of His servant David. My dear friend and I had come up from North Carolina, I was joining him and making my second leg of the journey from California on my first visit to the Ohel. We had been warned a few days before that hurricane Sandy was approaching off the coast of North Carolina. But having already planned our trip, and considering the fact that hurricanes were common to the warm south and not the cool Northeast we continued on with our trip without much concern. I had vowed before we arrived “I must visit the Ohel, we will do this rain or shine.” Oh how I would be tested in that respect, as it soon became evident that the storm was following us up the coast and was now set to land in New York City in just another day. As we arrived in the neighborhood surrounding the cemetery we were thrilled to find parking right away, as the wind and darkness was already dominating the sky. Likewise when we came into the welcoming-center building we passed just a few people going about their business. A couple was writing out their prayers on the tables set there just for that purpose. Comfortably out of the cold we sat and watched videos of the Rebbe’s speeches as we transcribed the prayers we were bringing. Some of my friends had dire health situations, others asked a blessing for a relative, and still others to deliver a message in memory of their dearly departed loved ones. At first I was a bit worried that we would be too far out of our element. It’s one thing to attend your local Chabad, its a totally different situation to step foot in their most holy shrine. And here I came, dressed like a typical Brooklyn hipster, skinny jeans and all. Honestly, people didn’t even give us a second look. Actually my friend and I, being the only non-Orthodox looking people around, were very concerned about not wanting to show any form of disrespect. As we made our way into the complex that is immediately before the entrance to the cemetery we were greeted by a young man who was giving reception and information for the visitors. We explained that it was our first time and asked if there was any customs that we should be mindful of. He relayed the common custom of not wearing leather shoes as a sign of mourning and humility. This is since leather is considered a form of vanity that has no place in the memory of the righteous. Luckily we came prepared with canvas shoes and with our heads covered as a sign of respect. Now there is a sense of decorum that has surrounded the visiting of the site. When one comes into the cemetery and up the path one can bring a candle with them to light in the anti-chamber of the Ohel. The Ohel itself, which literally means “a tent,” is an edifice that is built as a permanent mourning tent of stone that offers a place of sanctuary to the faithful who come to pray there. In the anti-chamber one will also find copies of the Ma’aneh Lashon and books of Psalms for people to pray from when they go into the second, inner chamber. Men and women each have their own entrance to the main vault of the Ohel. Before one enters into this burial place it is the custom of many to knock first as a sign of respect for the timelessness of our teachers. As one enters into the inner chamber you cannot help but be struck by the amazing sight of our two Rebbe’s laying side by side, to the right is Rebbe Yosef Yitzchak Schneerson and the left is the Rebbe Menachem Mendel Schneerson. Surrounding their graves and headstones is an enclosure filled with countless thousands of prayers. Though it is the custom to say the Ma’aneh Lashon and Psalms for the people that you are praying on behalf of, on many days there are lines of people waiting to get a moment of prayer there. Under crowded conditions sometimes visits are limited to a mere two minutes. One does not have to recite the entire 50-page liturgy and many Psalms if they are not able to. But it is suggested that one should at least recite the Psalm 111 which is the Psalm of correspondence to the Lubavitcher Rebbe, and also a Psalm relating to ones own age (for example: I am 35 years old, if I was in my first year of life I would start with Psalm 1, but since in am 35 years old I recite Psalm 36). After one says their Psalms, and they make their prayers heard with tears in their eyes, they quietly read their prepared letters, rip them up, and place them in the enclosure. As one exits it is the custom to do so walking backwards as a sign of respect. With all the needs heavy on my heart and so much to be thankful for in my life I found it very easy to lay my prayers out with tears. I was also very shocked by the appropriateness of the Psalms for my needs and how they offered guidance that I was not expecting. As I exited I backed out of the Ohel and the anti-chamber in order to collect myself, my friend was still inside praying. As I looked up and over to my right my attention was drawn to a couple extraordinary headstones. I realized as I read the name Chaya Mushkah that I was staring at the resting places of the Rebbetzins, the wives of our Rebbes. At their sight I became overwhelmed with emotion once again, contemplating the exemplary character and compassion they possessed in their holy lives. 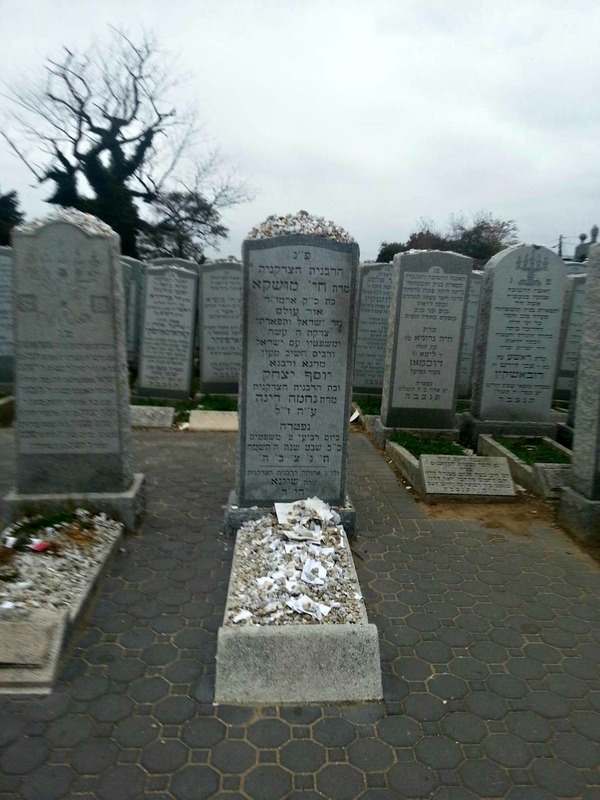 I placed a pebble on the headstone of the Rebbetzin Chaya Mushka before leaving. As my friend exited we once again took to collecting ourselves and commented on the wonder of the experience to finally pray at such a holy place, how palpable the sense of spiritual strength that is pooled together by the prayers of the righteous there. We were among the rest who emerged with true tears in our eyes. But the visit was not completely somber. For me it was very joyful, and I shared with the other people who were there on their visit why someone not the least bit chassidish looking would come to pray there. I explained how a few years before I was literally dying, I was in the hospital suffering complications from treatment for full-blown AIDS. 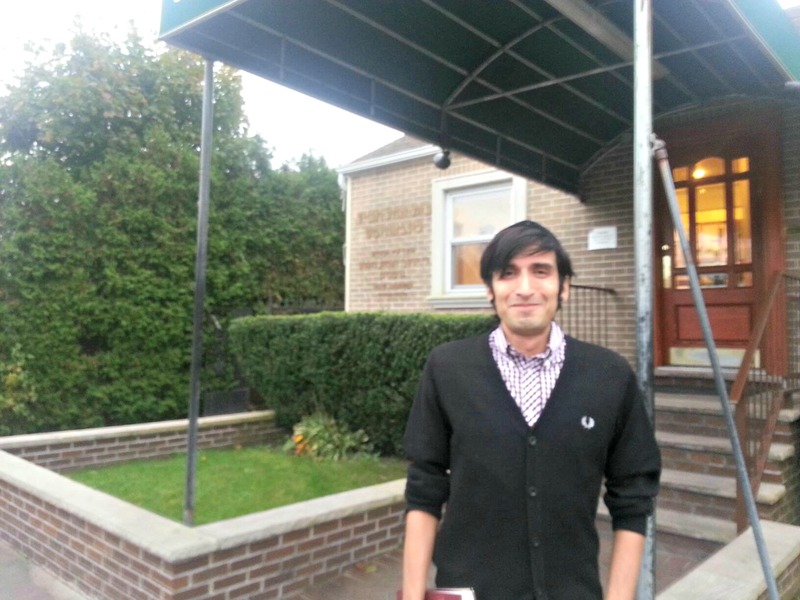 I was not expected to live, but people had come to the Ohel and prayed for the healing of my body. I was there to keep my promise to daven there if I lived, not for just myself but also for others, because I believed in the power of the prayer in the merit of the righteous that deeply. It wasn’t just something theoretical to me, it was a great source of strength in my life and I was here to extend the blessing and show my gratitude. As I explained not only did everyone become excited, but the shluchim that were there were grateful that I shared my story with them because very few times do people remember to come back after their life improves, people only tend to come when things are bad. I walked away caught up in the rapture of the power of prayer and with a sense of communion with the life-lessons of our beloved teachers. As got in the car to leave and began to calm our excitement over being able to actually make our seeming pilgrimage to this site we began to become aware that we were in the midst of a truly phenomenal storm. I had kept my vow, to come rain or shine. But by the time we were leaving there was not much sunlight left, and though it wasn’t raining the sky was unusually dark with storm clouds lingering. Wind had become so fierce that few people would venture out that day, making our access to the Ohel very quick and easy. And then during our ride back from Upper Queens to lower Brooklyn we became aware for the first time that we needed to get in on the final search for fuel gripping the city and get to cover because the city of New York and all surrounding roads were closed to traffic because hurricane Sandy was barreling towards the Northeast. We hunted for gas and after a few tries were able to fill up with high-end fuel. But still excited we made a quick stop in Crown Heights, to the former residence of the Rebbe and the headquarters the Chabad-Lubavitch movement. Our visit had to be quick because the wind was picking up so quickly by the time we arrive most people were fully engaged in trying to keep standing upright and hold their kippot and hats from flying away. But we were thrilled that we just got to be there, and we made our way back to our hotel for shelter. Within 24 hours we would find ourselves still trapped as the storm flooded and battered the region. Though in another seemingly miraculous event my friend and I were able to escape the disaster region the morning immediately after the storm and to that safety of North Carolina which had escaped the full wrath of hurricane Sandy. We drove the entire way from New York City to North Carolina on empty roads except for emergency and electrical crews racing towards the disaster zones. The next morning I was also miraculously able to fly across the country all the way back to the safety of Los Angeles, all within less than 36 hours after the storm. As I write this people are barely getting their power restored in the disaster zone and gasoline is still in unavailable at the pumps as people wait in line for miles. My prayers are with you from here, the only way I can explain my safe return is that G-d was aiding us in our travels because we came faithfully to keep our promise. That must be the power of determination and prayer. May G-d continue to bless you all, as I have seen with my own eyes His hand displayed in the great spirit of charity you all have shown to each other in this time of crisis. Several years ago I found myself in a mess of a situation. As a result of bad decisions and the weight of some emotional turmoil I had found myself outside of religious observance. My Jewish partner and I were both hooked to heavy drugs and really lost in life. After his subsequent arrest one odd night for possession of drugs I was released by the officers to the sidewalk. During my wait for someone to pick me up I was really confused and felt lost as to how my life had come to this point. Wanting to avoid the attention of the police or other lowlifes I needed to get off the streets. As I walked I looked up and saw a cemetery, noticing a huge Jewish section. I collected myself and went in. The Mexican gardeners kind of stared at me, why was a punk in the cemetery? As I walked and looked at the names I saw the relatives of some people I knew among the many others I had never met. Noticing that some hadn’t been visited for a while I began to clean the graves and people just let me be, soon I was the only person left except for one woman over to the far left of the cemetery. “You don’t seem like the type to hang out in graveyards,” she stated without looking up. She was taking a charcoal etching of a shiny and beautiful headstone. She explained that it was her mother’s headstone, and asked me to come over and help her get the etching of the inscription. As we worked on getting the face of it transferred on to the paper I explained that I needed to find a place to clear my head and reflect on how things had gotten to this point in my life. I explained that when I was religious a rabbi once taught me that a cemetery isn’t necessarily a dreary place. Actually, it’s a holy place he contended. He explained to me that when we pray or make vows we often do so on a sacred object. 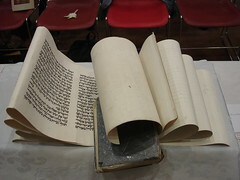 It could be a Torah or even an object that a mitzvah was done on; any sacred object counts. He also explained that in the lack of mitzvah items to make a vow one could make a vow upon their body, in fact a vow was taken by one merely laying their hand on the body part of Abraham upon which a mizvah was performed (see Genesis 24:2, “under his thigh”). The body is miraculous and awesomely created object by G-d. When we cannot find another place of sanctuary and holiness then one may come to a graveyard that holds the bodies of His holy people. We believe that their souls remain close by in order to rejoin their resuscitated body one day; a cemetery isn’t dreary at all, it’s a lively place. “Why do you need to find a place of sanctuary? Why do you have no place else to turn?” she inquired. As we finished the transfer on to the thin paper she began to listen to my story and ask so many questions that helped me think out my situation. She showed real concern for my needs. After some time of talking and us needing to both get on our way, she turned to me and told me that if I ever needed anyone to talk to then please come and visit her mother. That her mother would have really liked me and would be there to listen. To this day when I get a chance to pass through that obscure neighborhood I like to stop and pay my respects for the person that was there to listen when I didn’t feel I had anyone in the world on my side. That was a real turning point in my teshuvah, my personal repentance and turn around. We are quickly coming upon the Jewish holidays, we enter in the season of joy and celebration with the commemoration of the salvation of the Jewish people during the Persian empire at the time of Queen Esther; in the celebration of Purim. 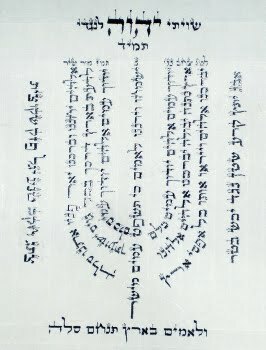 Here are the blessings according to the Nusach Arizal (Chabad) for the reading of Megillat Esther, the scroll of Esther. I find the story of Purim to be an especially moving in the modern era. Let’s think about it for a second. Here is a story about someone that is anti-semetic, specifically because he hated one person in particular; Haman hated Mordechi, who was a Jew. But his hatred grew until his way of getting his satisfaction encompassed the slaughter of the entire Jewish people. So often in my experience I have seen that hatred starts with a grudge against just one person, and as the hatred grows so does that blind spot until just about anything is justifiable. The actions Haman took against the Jewish people was not an overt attack, it was an attack under the auspices of lawfulness and good citizenship. All his acts were wrapped in insincerity that cared for no one’s interest but that of Haman and his ego. The reading of the megillah should really ring true for the modern reader and even for the non-religious. Quite notably, there is not a single mention to the Divine Name in the whole of Megillat Esther. It is not a book about waiting for Divine intervention. It’s not about long religious discussions. It’s about someone standing up and saying “your not just talking about some abstract idea, your talking about me because I’m a Jew.” Queen Esther stands up and makes it known that Jews are a part of the society and contribute on every level to the betterment of the world, including in the royal house itself with her presence. In this way G-d’s salvation does not come through some supernatural act. Nor did it come by the hand of the the highly religious and pious. It does not mean that G-d is not there in our distress, nor that the religious are ineffective. It’s that G-d needed someone with special skills to be willing to partner with Him and bring reason to the situation. Salvation came though Hashem giving the opportunity and the fortitude of spirit to one person to stand up, come out of the closet and be counted. We all, no matter what our level of observance is, have a role in being the voice of godliness and humanity in this world. I believe this is the lesson of what it means to be a Jew, and why in this book we see the term yehudi (Jew) used for the first time in the scriptures. May G-d comfort the mourners of Israel, and may His Nation remember for blessing the souls of the Fogel family; Udi (36) and Ruth (35), children Yoav (11), Elad (4), and baby Hadas (1 month old); and bind the wounds of those surviving children Tamar (12), Roi (8) and Yishai (2).